In their workshop, Gem cutters handle traditional tools, such as the “étui mécanique”- a typical Jura invention – used all over the world today. While using this French know-how, the gem cutters keep on improving the cutting, faceting as well as the tools and materials used. 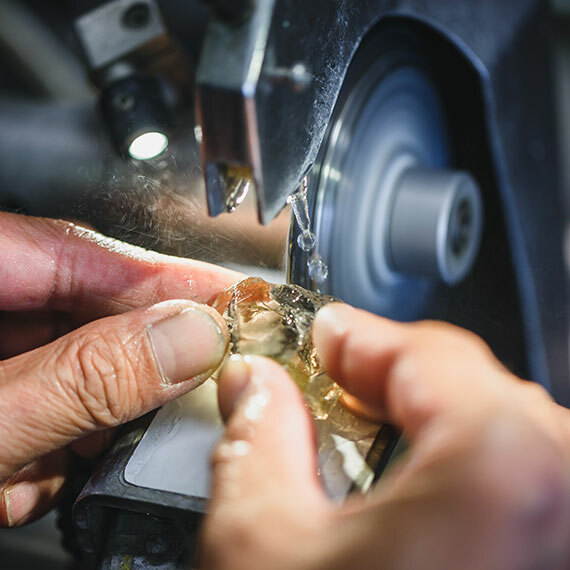 The gem cutters are aiming the perfect cut ; Piat has a strong commitment to work with the best tools and anticipate the most beautiful innovations in the art of cutting. 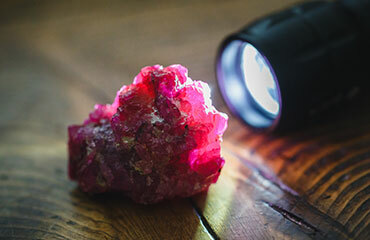 The gem cutter also has an excellent knowledge of gemstones, their crystallographic and chemical properties. 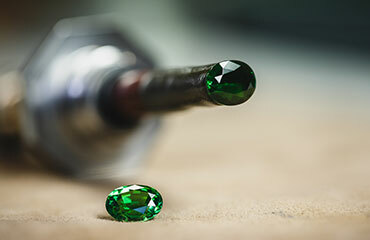 This is definitely the most challenging task for a gem cutter, as it requires a strong knowledge on gemstones. The biggest concern during the cut is to produce the finest gemstones with a maximum brightness, intensity and colour while minimizing weight loss. Analyzing the rough is therefore extremely important. 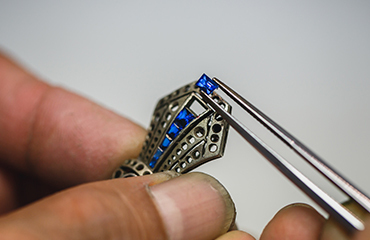 This extremely precise work involves cutting one or several gemstones directly on a piece of jewellery. The gems are then set on the jewellery piece. Piat offers its expertise regarding the choice of gemstones according to the colour and size of the piece. The Maison selects gems or adjusts coloured stones that have been sent to our workshops. Working on center stones involves bringing out the brightness and colour of the gem by shaping, cutting and/or polishing it. Gem cutters can give a new shape to a stone, change the size and faceting. They pay special attention to the quality of polishing, which has a direct impact on the beauty of the stone. They strive to retain the maximum weight.